Although color guides are a good tool for determining the color that should be used, (such as spot colors), they should be used only as a guide. There is no guarantee that the final printed color will look exactly like the color in the guide. The colors in the guides tend to fade, so the guides are usually valid for about a year. 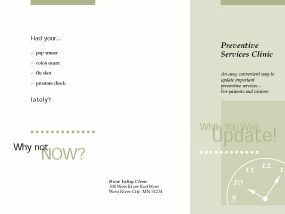 The color swatches in a guide are usually printed with a saturation that may be hard to achieve on some applications. The type of paper on which color is printed has a huge affect on the way the color appears. The same color will appear to be quite different when printed on coated and uncoated papers. The ink absorption rate, along with the brightness and the color of different papers can result in significant changes in the way color appears on different papers. There can be differences in ink pigments between different ink manufacturers, which is another reason why it is difficult to perfectly match the color in a guide. Most printers use ink from one vendor, so they can usually expect consistency in the ink they use. Lighting conditions affect the appearance of the ink color. Differences in daylight during different times of the day and differences in artificial illumination, such as fluorescent and incandescent, can cause a wide shift in the appearance of a color. Precise color matching can only occur when the preceding factors are considered. 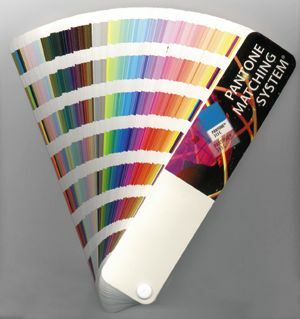 A color viewing booth can be used in order to accurately match the printed color with the proof. Lighting conditions, materials, and the techniques used, must be controlled in order to achieve the best results when printing with color. Spot color is usually considered to be any color used on a document that is not a process color. It can be used simply as a secondary color or as a color to provide emphasis to an area of a printed piece. Spot colors can be used as an area of emphasis on a four-color process job with the spot color generally printed as a color on a separate plate and not as part of the four-color process. Specialty inks can also be used as a spot color to provide even greater emphasis to an area. Specialty inks can range from fluorescent, fade resistant, opaque, and metallic inks. Many of the specialty inks demand unique considerations for their proper use at the press. Metallic inks may require that the press run at a slower rate than usual and the preparation and clean up time may be longer. Fluorescent inks are very transparent and may require that the printed document be run a second time through the press to achieve the desired coating of ink. The challenges created by the specialty inks in terms of printing may increase the price of a printed document to a degree that it may not be cost effective to use the specialty ink for a particular application unless a large quantity is produced. each other to achieve a desired hue. Printing an image in full-color is a complicated process involving a number of steps. A basic knowledge of these steps is not only essential for printers, but it is also important for designers in planning and creating the best layouts and for print buyers in understanding some of the issues that are raised when purchasing color work. Red, Green and Blue (RGB), are the primary colors of white light and are called the Additive Primary Colors. We are able to see color because different objects reflect and absorb, or subtract, the primary colors of light differently. For example, we see an object as yellow because it absorbs (or subtracts) blue light from white light. Since the blue light has been absorbed, the red and green light is leftover and is reflected back to our eyes. The red and green light combine to make yellow and so we see the color of the object as yellow. This is known as the Subtractive Color Process because portions of the visible light spectrum are subtracted from white light to reveal color. If 100% of the red light is subtracted from white light the resulting color is cyan. (The green light and blue light are the remaining primary light colors after the red is removed and the green and blue combine to form cyan). If 100% of the green light is subtracted from white light the result is magenta (red and blue light form magenta) and when 100% of the blue light is subtracted from white light the result is yellow (red and green light form yellow). Cyan, Magenta, and Yellow (CMY) are the Subtractive Primary Colors, and are used for color reproduction in process color printing. The combination of the primary colors in varying degrees is what creates the illusion of a full color printed image. In the lightest and whitest areas of the printed image, very little of the primary colors are present so these areas appear very light. In the darkest areas of the printed image, much more of each color is present making the areas appear darker. The combination of the three subtractive primaries, each at 100% strength, should create black, but since cyan, magenta, and yellow color pigments are not perfect, there is no way of creating a true black color when they are combined. If full strength cyan, magenta, and yellow, are combined, the resulting color is actually a dark, muddy brown color. Even if it were possible to combine all three primaries at full strength to create black, printing 100% of any or all of the subtractive primaries can cause a saturation of color on the printed surface which can result in very poor print quality. Because of this problem, the addition of black is necessary to assist the cyan, magenta, and yellow in creating the darkest hues, to deepen shadows, and to produce a true black text. Cyan, Magenta, Yellow, and Black, (CMYK), form the basis of the four-color printing process. The "K" is used to signify black to avoid confusion with blue. Because the mixture of the primary ink colors do not make a true black, it is necessary to add black ink to achieve deeper shadows and true black text. The mixture of 100% of any two primary colors will result in a secondary color. 100% yellow and cyan will result in green; 100% cyan and magenta result in blue; and 100% magenta and yellow result in red. The secondary colors are also the same as the primary light colors (RGB). 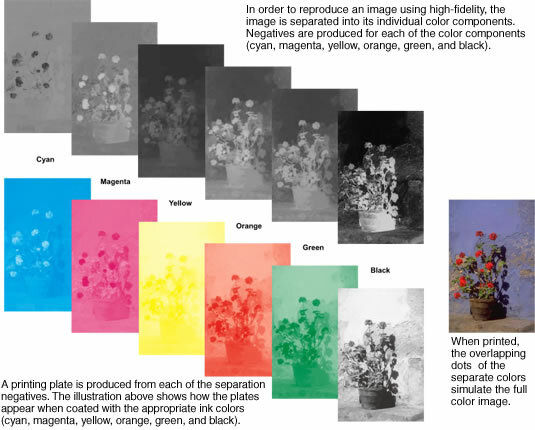 In order to reproduce or prepare a full color image for printing using four process colors, the image must be divided into the individual subtractive primary color components. The separation process can be accomplished photographically or electronically. Photographic Separations: Using a large process camera, a full color image is converted into halftone negatives which, contain a series of dots of various sizes to represent shades of gray. The dots are achieved with the use of special screens placed over the negative material during exposure. When printed, the smaller dots create the lighter areas of the image, with the lightest appearing white, and the larger dots make up the darker areas of the image, with the darkest appearing black. This system of using the halftone screens directly with the film is known as the Direct Screen Photographic Color Separation method. A halftone negative is made for each of the separate subtractive color components of the image (cyan, magenta, yellow) and black. The four halftone negatives are records, in varying shades of gray dots, for each of the separate color components and are known as "Color Separations". Another photographic technique known as the Indirect Photographic Color Separation method is also used. The original image is separated into the individual primary color components and continuous tone films are made for each of the separations. From the separated films, the halftone negatives or positives are created. The advantage in first creating continuous tone separations before creating the halftones is that the continuous tone separations can be reduced or enlarged and corrected before the actual halftone films are produced. Color separations created from photographic methods are used to prepare analog plates for traditional printing methods. Each plate corresponds to one of the four colors, cyan, magenta, yellow, or black. The plates are coated with the corresponding ink colors during the printing process and the inked image from the plates is transferred to the substrate. The varying sizes of the halftone dots on the plates, determines the amount of ink that will be printed on the substrate. The dots from each of the different colored images overlap to produce the full color image. Electronic Separations: The electronic separation of an image into its individual color components has become the most popular and labor saving method of producing color separations. The separations can be produced from an image produced with analog methods, such as photography, or from a digitally generated image. When producing separations from an image produced with analog methods, the image is first placed in a scanner, which converts the image into a digital record. The digital image can then be imported into an image editing software program where the color separations can be produced with the click of a mouse. The scanned image and/or the color separations can be quickly manipulated and edited in an infinite number of ways with the tools provided with the software. Color separations can also be produced from digitally produced images, such as from a digital camera or images composed entirely in design or illustration software on a computer. Digitally produced images eliminate the scanning step from the workflow. Color separations created electronically can be output to film to prepare analog plates or they can be used for Computer-to-Plate applications and digital printing. The rows of dots on the screens used for each color separation must be positioned at a specific angle so that the printed dots do not form a distracting pattern. The angles are: 45 degrees for black, 75 degrees for magenta, 90 degrees for yellow, and 105 degrees for cyan. The angles form a rosette pattern, which is merged into one continuous tone by the human eye. If the screens are positioned at the wrong angles and then printed, the rosette pattern will not be correct and a moiré pattern appears, which results in an image that no longer has a smooth gradation of color. An example of a moiré pattern is shown below. Prepress - if the negatives from different sources are duplicated to produce the final film, the dots may increase in size. Printing plates produced from the duplicated negatives may be incorrect which may result in a change in the dot size. Printing Equipment - the type of press, the age and condition of the equipment, and press settings such as plate and blanket packing, printing cylinder settings, and ink and water balance, may determine the degree of dot gain on a printed sheet. Ink - ink is not the same from all manufacturers. Inexpensive or low-grade ink is more likely to cause dot gain problems than a higher priced, high-quality ink. Paper - it is normal for printed dots to increase in size slightly as wet ink spreads and is absorbed by the paper. Different papers cause ink to absorb and spread differently at different rates. An uncoated paper stock may not be as suitable for color printing as a coated stock, because it absorbs ink at a faster rate. It is always best to consult the print provider when determining which paper is best suited for a particular application. Prepress - negatives may be produced correctly or they may become stretched, resulting in the separate colors not registering correctly when printed. Also, if printing plates are produced incorrectly, the image on the plate may become crooked, resulting in poor registration of the individual colors when printed. Plates - improper plate and/or blanket packing on the press can affect the image on the printing plates. The plates can also be improperly installed on the press resulting in poorly registered colors. Paper - occasionally, paper stretches and distorts when it absorbs moisture as it passes through a printing press. The stretching and distortion of the paper may result in poor registration of the individual colors. Trapping can help compensate for registration problems by slightly expanding one color into another and eliminating the gaps and color shifts between colors. For trapping to be effective, it must compensate for less than perfect registration without forming noticeable lines of unrelated color around objects caused by the overprint. Process colors that share a sufficient percentage of common colors do not require trapping, because any registration problems will reveal a color that is similar to each of the adjacent colors. An example of where trapping would not be necessary would be a printed item containing mostly reds and oranges. If the object on such a page were not in perfect register, the result would not be visually distracting because the colors in the gaps and overprinted areas would be similar to any adjacent colors. The sequence in which the process colors are printed also influences ink trapping. For standard four-color printing, the correct sequence to print the process colors are black, cyan, magenta, and finally yellow. Printing the colors in the correct sequence will help ensure the best results. A change in the standard sequence will result in a change in the ink trapping characteristics. High-fidelity is a method of color printing that utilizes additional process inks to produce a greater range of color on the printed piece. There are many different versions of high-fidelity printing, but they all use conventional or enhanced versions of CMYK inks plus additional colors to increase the color gamut. Orange and green can be added to enhanced versions of cyan, magenta, yellow, and black to increase the range of color. Orange and violet can be added to CMYK. The additive primary colors of red, green, and blue can be added to CMYK either individually, in pairs, or all together. A special set of cleaner CMYK colors can be used. 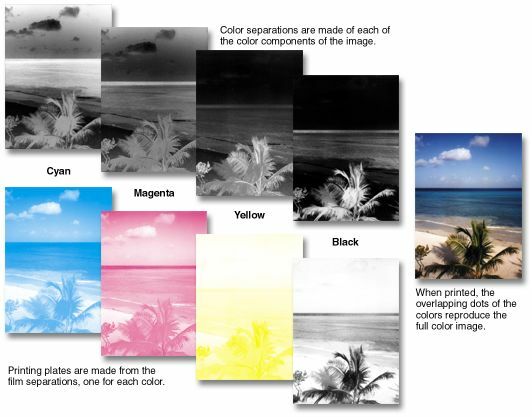 More than one set of CMYK colors can be printed with each set at different densities. One or more of the CMYK colors can be replaced with another color depending on the effect that is desired. An example of a high-fidelity color system is the PANTONE Hexachrome® system which uses orange and green in addition to enhanced versions of cyan, magenta, yellow, and black. The use of the six high-fidelity colors increases the range of color by 20% and provides improvement in transitions between colors. The high-fidelity color system can reproduce more than 90% of the Pantone Matching System® colors. An important point when considering the use of high-fidelity printing for an application is the fact that the process requires a press with five or more printing units in order to print an application in one pass on one side. Without the proper quantity of printing units on the press, the application would have to be run through the press more than one time, making the job more expensive than if it had been printed in one pass. Although conventional offset presses as well as digital six-color presses make the process more efficient, they are very expensive and require additional skills to operate, which also adds to the cost of printing a high-fidelity application. High-fidelity color printing is also more expensive than traditional four-color printing because of the extra prepress work involved. For a six-color high-fidelity application, two additional color separations are required as well as two additional plates. When compared with four-color jobs that are printed with additional spot colors, there is not a great difference in the cost. Printing a high-fidelity application digitally can be less expensive than with conventional printing depending on the quantity. Very small quantities are often more economical when printed with digital equipment because there are fewer steps involved with the process. The price per sheet is the same regardless of the quantity, which differs from conventional printing in that the smaller the quantity, the greater the price per sheet. Pure violets, greens and oranges are very difficult to match using four-color process printing. To achieve vibrant colors, a fifth spot color or 6-color high-fidelity printing can be used. Fluorescent and metallic colors cannot be achieved by using four-color process printing. A spot color is necessary for printing the fluorescent and metallic colors. For a rich black use a mixture of 40%C, 30%M, 30%Y, & 100%K instead of just 100% black. The combination of all of these colors in the correct proportions will create a black with a darker appearance. Only 50% of the PANTONE colors can be closely simulated using four-color process printing, but nearly 90% can be simulated with the use of high-fidelity printing. Pantone colors in desktop software are not always the same. Always check the built-in percentages. Never trust the color on the monitor. It is always best to use the color values and percentages. Banding can often occur in gradient blends (vignettes). Banding is the visible lines between the color changes in the gradient. To help eliminate banding, limit the change in a color to no more than 75% from end to end. For example, instead of going from 0% cyan to 100% cyan, start at 10% and end at 80%. If you are using PhotoShop to create the gradient, try adding a pixel or two of noise from the noise filter.